@BifBangPow: Say OOOOHHHHH and Oh My Glob to New Regular Show and Adventure Time Tin Totes! 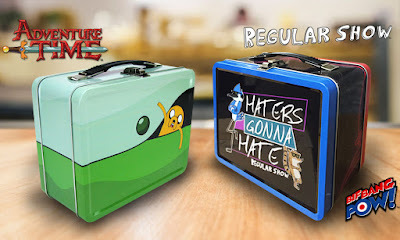 Say OOOOHHHHH and Oh My Glob to New Regular Show and Adventure Time Tin Totes! No matter if you’re slacking off at work or going on a totally mathematical adventure, Bif Bang Pow! has you covered with new tin totes from your favorite Cartoon Network series! Both the Regular Show Haters Gonna Hate Tin Tote and Adventure Time Traveling Jake Tin Tote are in stock now at Entertainment Earth! 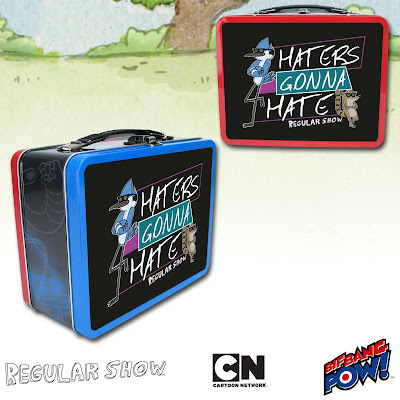 Fans of Mordecai and Rigby will have nothing but love for the all new Regular Show Haters Gonna Hate Tin Tote that prominently features the two best friends and stars of Cartoon Network’s Emmy® Award-winning series Regular Show throughout as they attempt to slack off and keep it chill. Mordecai and Rigby are shown on each side wearing sunglasses next to the phrase "Haters Gonna Hate." With Mordecai and Rigby the surreal adventures will never end! Who could resist saying “oh my glob” to the Adventure Time Traveling Jake Tin Tote? 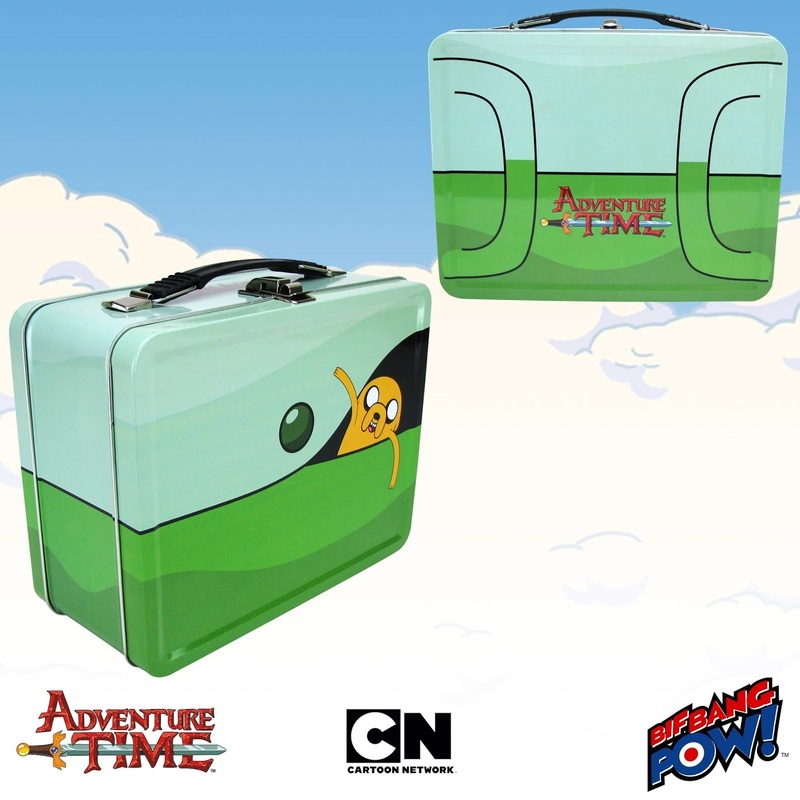 The colorful one-of-a-kind tin tote looks just like Finn’s backpack with Jake traveling inside. It's the perfect place to stash all your supplies for your next mathematical adventure. Shmow-zow! Both tin totes measure 8 5/8-inches wide x 6 3/4-inches tall x 4-inches deep. Order yours today! See more Regular Show collectibles from Bif Bang Pow! here!